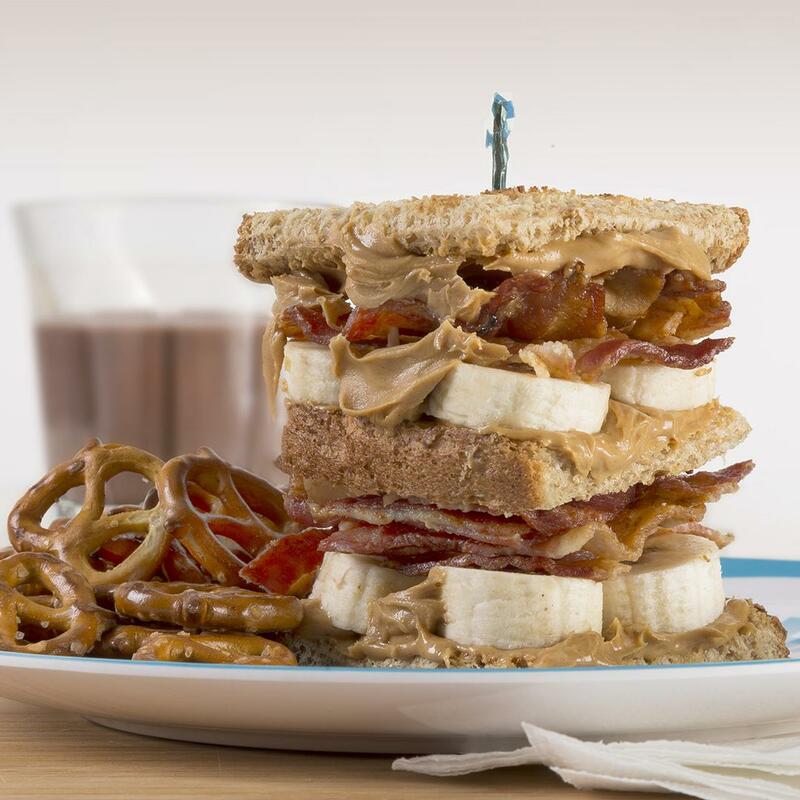 Spread the peanut butter on a piece of toasted bread and top with sliced bananas and Gwaltney Bacon. Top the layer with another slice of toast. Spread butter on the outside and repeat Step 1. Close the sandwich with another peanut butter-slathered slice of toast.